Here's the launch trailer for Ace Combat 7: Skies Unknown, along with the latest aircraft trailers, focusing on the Rafale M and Su-57. 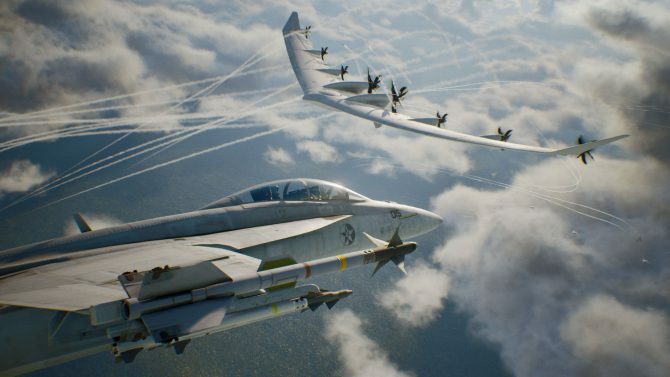 Bandai Namco is bringing us to the skies with the launch trailer for Ace Combat 7: Skies Unknown. 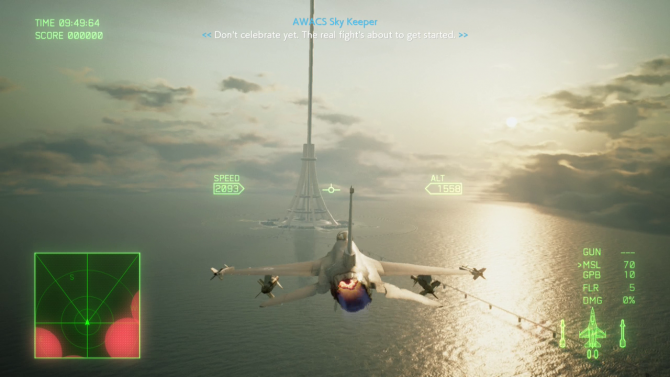 The trailer shows plenty of new awesome dogfight gameplay, displaying many situations: Nighttime flights. Bombardments. Pulling through crumbling buildings and debris. Fighting against one of the Arsenal Birds protecting the International Space Elevator. Shooting multiple volleys of missiles, and even lasers. A few story scenes and characters are also shown in the trailer, but nothing spoiler-ish, and nothing we haven’t already seen in past trailers. 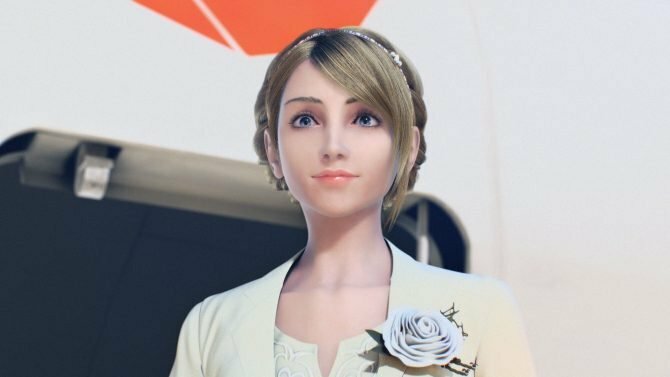 I sometimes have a hard time believing Ace Combat 7 is finally happening. Following the initial announcement of the game back in September 2015, the game got delayed multiple times, and so much has happened. Since then, Square Enix finally released Final Fantasy XV, and among other problems was clearly unfinished at launch, ultimately leading to the resignation of Tabata. Fans fully translated Ace Combat 3‘s Japanese version, whose scenario was cut in the official localization. After decades of dreaming about it, Arc System Works finally brought us Dragon Ball Guilty Gear. Sega released a new, masterfully pieced Valkyria Chronicles 4, and announced a New Sakura Wars game by the same team. Bandai Namco started to release Super Robot Wars games regularly in English. And last but not least, I started writing here. Ace Combat 7‘s launch trailer is included below, along with the aircraft trailers for the French Rafale M and the Russian Su-57. You can find Ace Combat 7‘s opening movie here. Another trailer was revealed showing the game’s online multiplayer modes: 8 players Battle Royal and 4 vs 4 Team Deathmatch. The game will also have a VR mode playable with PlayStation VR. Ace Combat 7: Skies Unknown takes off on January 18 for PlayStation 4 and Xbox One. 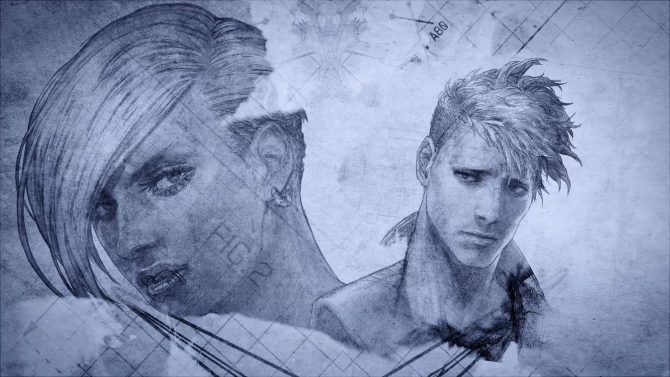 The game will also be ported to PC slightly later, on February 1. There are only a few days left to wait now. If you?d like to pre-order the game and haven?t yet, you can do so via Amazon.